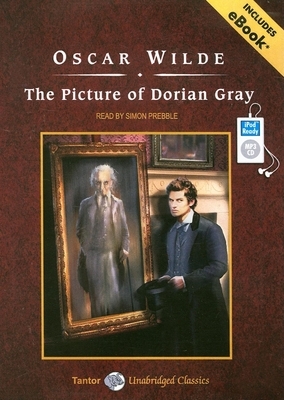 Oscar Wilde brings his enormous gifts for astute social observation and sparkling prose to The Picture of Dorian Gray, his dreamlike story of a young man who sells his soul for eternal youth and beauty. This dandy, who remains forever unchanged--petulant, hedonistic, vain, and amoral--while a painting of him ages and grows increasingly hideous with the years, has been horrifying and enchanting readers for more than 100 years. Taking the reader in and out of London drawing rooms, to the heights of aestheticism, and to the depths of decadence, The Picture of Dorian Gray is not simply a melodrama about moral corruption. Laced with bon mots and vivid depictions of upper-class refinement, it is also a fascinating look at the milieu of Wilde's fin-de-si cle world and a manifesto of the creed "Art for Art's Sake." The ever-quotable Wilde, who once delighted London with his scintillating plays, scandalized readers with this, his only novel. Upon publication, Dorian was condemned as dangerous, poisonous, stupid, vulgar, and immoral, and Wilde as a "driveling pedant." The novel, in fact, was used against Wilde at his much-publicized trials for "gross indecency," which led to his imprisonment and exile on the European continent. Even so, The Picture of Dorian Gray firmly established Wilde as one of the great voices of the Aesthetic movement and endures as a classic that is as timeless as its hero. Oscar Wilde (1854-1900) was an Irish-born poet, writer, and lecturer, whose sole novel was the controversial "The Picture of Dorian Gray."